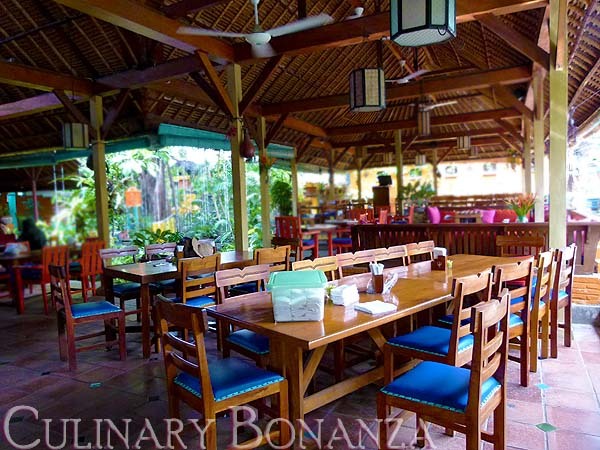 TJ's Mexican restaurant is located inside the meandering Poppies Lane I in Kuta, Bali. No one would expect to find such a place in the narrow lane to offer great Mexican food and at reasonable prices too. So, I dragged my brother along despite the sultry weather and the scorching 11 o'clock sun, to find respite in the virtually vacated restaurant. When in a rush like this (my flight was due to take off in a few hours then), you could only wish for quick and undivided attention from the restaurant crews. I started by ordering TJ's specialty dessert: The Mango Cheesecake with Blueberry Coulis and the Chocolate Cake Diablo. 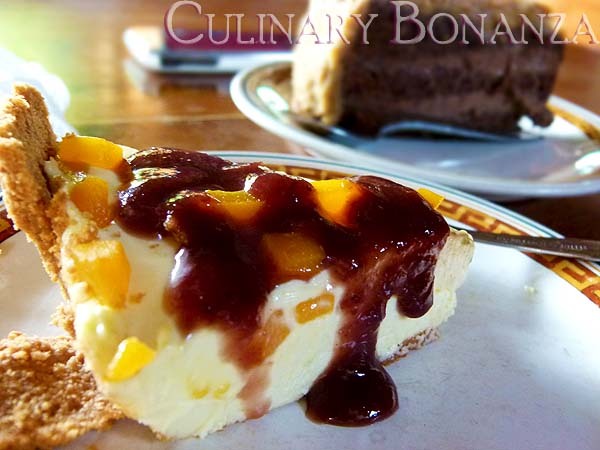 The mango cheesecake is quite sour compared to what I used to have, but it compliments the savoury-sweet cream cheese perfectly. 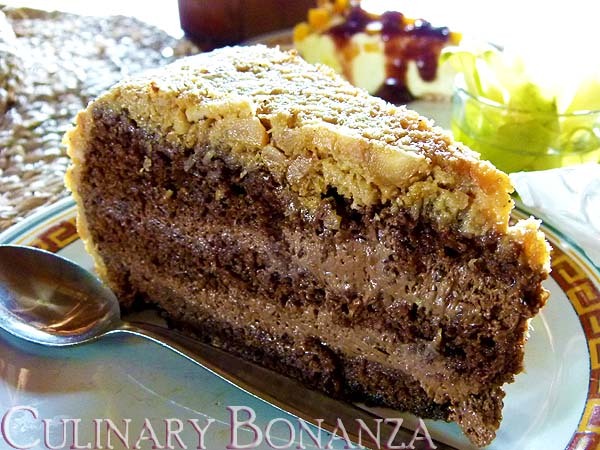 Both me and my brother loved the chocolate diablo, which is coconut-based & nuts infused, soft chocolate cake. The coconut scent in this ensemble is just enough to strike a delicate balance so as not to overwhelm the chocolate flavour. Delish! 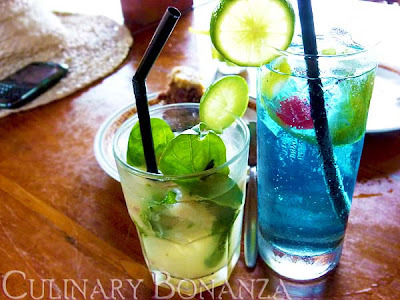 It was such a hot day, I felt like I could have everything off the cocktails menu! But I settled for the Lychee Basil Roska, while my brother picked the Hypnotizer. 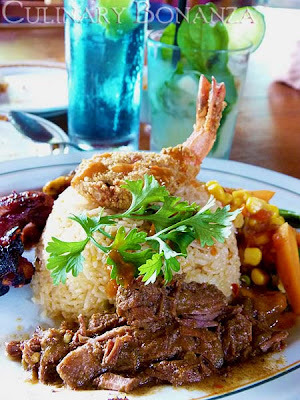 The Mexican Nasi Campur was one of TJ's specialties. Rice aside, there were other accompanying sides like fried prawn, roast chicken, beef rendang, baked bean and mixed vegetables. I would recommend you to try this one from TJ's. 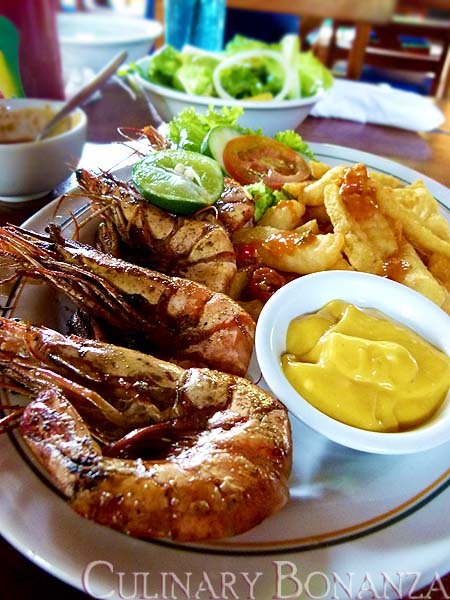 Not much a seafood fan, I let my brother had all the Lula BBQ Giant Prawns to himself. There were only 4 prawns, but they're of decent size. I just picked at the fries and dipped it in the sweet yellow sauce. Hi Cindy! Yup, awesome place. But don't come in November, as it's the hottest time of the year!